So, I get asked a LOT in class, which is harder to do and generally my answer is “it depends”. I know this infuriates clients who want a straightforward and simple answer and want to push their body to the max and find out which variation will achieve this. So, why does it depend? Well it depends on a number of factors – firstly and primarily it depends on what you are trying to achieve by doing this exercise and secondly it really depends on the individual partaking in the exercise, their history of injury and their standard of strength. The plank is a total body movement but we tend to consider it as an abdominal exercise. 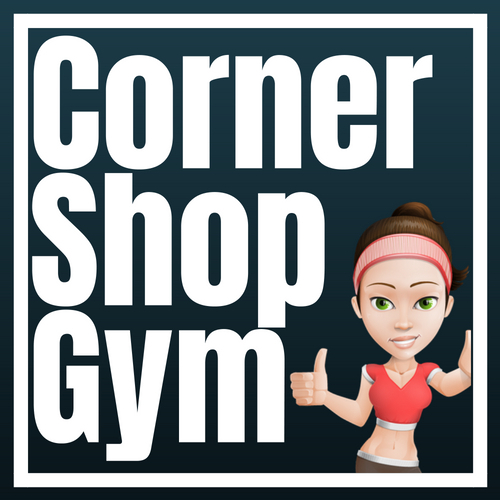 Often, people mistakenly believe when we talk about the core that we are talking about the abs only or perhaps the abdominals and lower back. [For my FITPRO readers a little anatomy & physiology review – our core muscles are not just our abdominals and lower back but also include all muscles of the torso, or in anatomical terms the axial skeleton. It also includes our traps, lats and glutes to name but a few.] 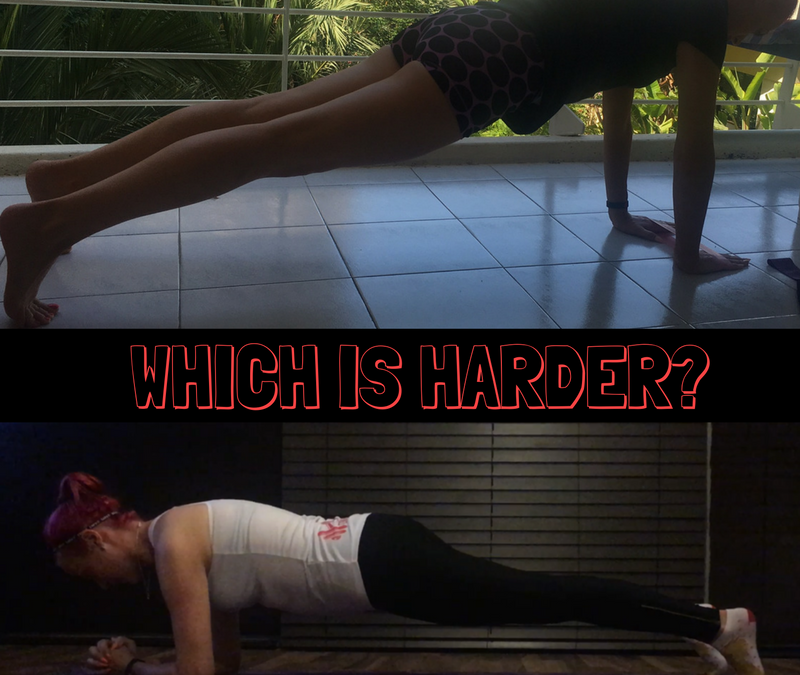 I believe this is why all too often the answer to the question of which is harder is generally given as the forearm plank. Due to the persons lower center of gravity in the forearm plank it is a harder exercise for the abdominals when compared to a plank on hands. When you plank on your hands you require greater shoulder stabilization and the triceps in particular have to work harder. So, firstly what am I trying to achieve via the plank? If I want you to feel a burn in your abs then the forearm plank is the better exercise to achieve this. However if I am working with clients on upper body strength and shoulder stabilization well then planking on hands will achieve better results for that specific goal. Secondly what is the persons doing the plank standard of strength and is there a history of injury? For clients with weak shoulders and upper body I am not likely to start them in a high arm plank position as by introducing a move that is too challenging for them may result in injury or indeed aggravate a historical injury. If my clients complain of wrist pain when doing exercises on all fours again this high arm plank is probably not the best starting point. So, although it is often considered the harder of the two I find it to be a lot safer for beginners. As per my video at the start of our PLANK A DAY challenge I mentioned that the plank can actually be started with clients standing upright and leaning into a wall while squeezing their bum, drawing their belly button back, pulling their shoulders down the back and squeezing the front of the thighs (the quadriceps) by drawing the knee caps upwards. I’d much rather a client start here than try to advance to something their body is not ready for. There really is no case to get a person down on the ground in either plank style if their body weight is too great or their muscles too weak to support either plank option. So…. There you have it, it really does depend!! The next question I get asked is which is my preference… well you should have guessed what my answer would be – it depends on what I am trying to do. I have worked a lot on my high arm plank through yoga chaturanga’s which has resulted in a noticeable increase in my upper body strength. In terms of making the plank a challenging move I like to mix it up with variations – moving from high arm to forearms is a firm favourite when I am short on time and want to feel the burn but there are loads of others which I will introduce as we go throughout the month. If you haven’t yet joined us for our challenge please do here and stay tuned for more plank related blogs. Remember – your health and safety is more important than your ego, listen to your body and do only as much as is right for you. Do, get in touch if you need help with technique.